In today’s society we use our eyes to stare at computer screens, televisions, tablets and mobile phones more than ever before. This means that our eyes are focused at the same distance for much longer than in the past, which may result in eyestrain, headaches and even a sore back or stiff neck. The increase in screen-time has not only been linked to eye fatigue but also to an increase in eye related issues. Alarmingly a new study has found that half the world's population will be short-sighted in 30 years, with one of the main factors being our society’s reliance on technology. Research shows somewhere between 50% and 90% of people who work at a computer screen have at least some symptoms of eye trouble. This doesn't only apply to adults though; kids who stare at portable video games or tablets or who use computers throughout the day at school can also experience eye problems related to screen use. Computer vision syndrome is similar to carpal tunnel syndrome and other repetitive stress injuries at work and occurs when you're carrying out the same motion over and over again. Working at a computer requires that the eyes continuously focus, move back and forth, and align with what you are seeing. You may have to look down at papers and then back up to type, and the eyes have to accommodate to changing images on the screen in order to create a clear picture for the brain to interpret. These all require a lot of effort from eye muscles. 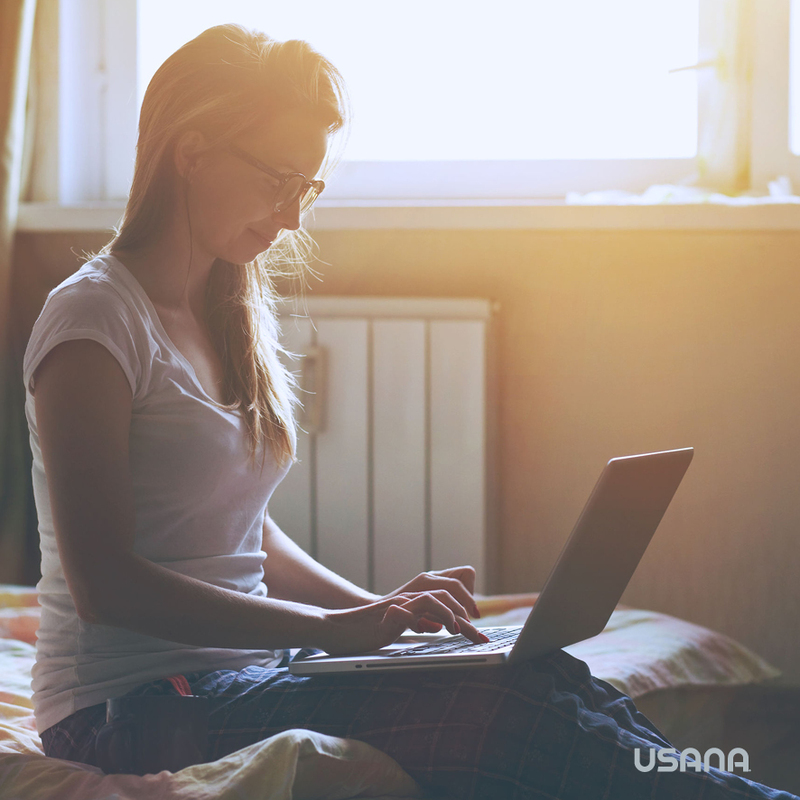 Computer eye problems are more likely to occur if you already have an eye problem, such as nearsightedness or astigmatism, or if you need glasses but don't wear them or wear the wrong prescription for computer use. Working at a computer also gets more difficult as you get older because the lens of your eye becomes less flexible. The ability to focus on near and far objects starts to diminish after about age 40, this is a condition called presbyopia. Other factors that also contribute to eye issues are age, UV exposure and lifestyle choices. Intraocular melanoma: Although rare, it is the most common eye cancer in adults. 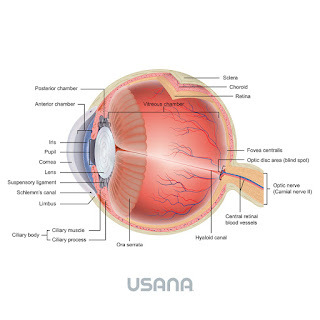 It starts in the uveal tract, the middle layer of the eye containing the iris (the part of the eye responsible for eye color) and the pupil, which lies in the center of the iris. Symptoms may include a dark spot on the iris, blurred vision, or a change in the pupil's shape. Sometimes, however, there are no symptoms. Cataracts: A progressive clouding and yellowing of the crystalline lens, the eye's focusing mechanism. At least 10 percent of cataract cases are directly attributable to UV exposure. Cataracts are the most common cause of treatable blindness worldwide, and UVB has been directly linked to cataracts. Macular degeneration: Often referred to as age-related, or senile, macular degeneration, it is caused by damage to the retina over time. The retina is the ocular membrane where images are formed and transmitted to the brain; the macula, the region of sharpest vision near the center of the retina, is the most likely area to be damaged. Macular degeneration is one of the major causes of vision loss in the U.S. for people over age 60. 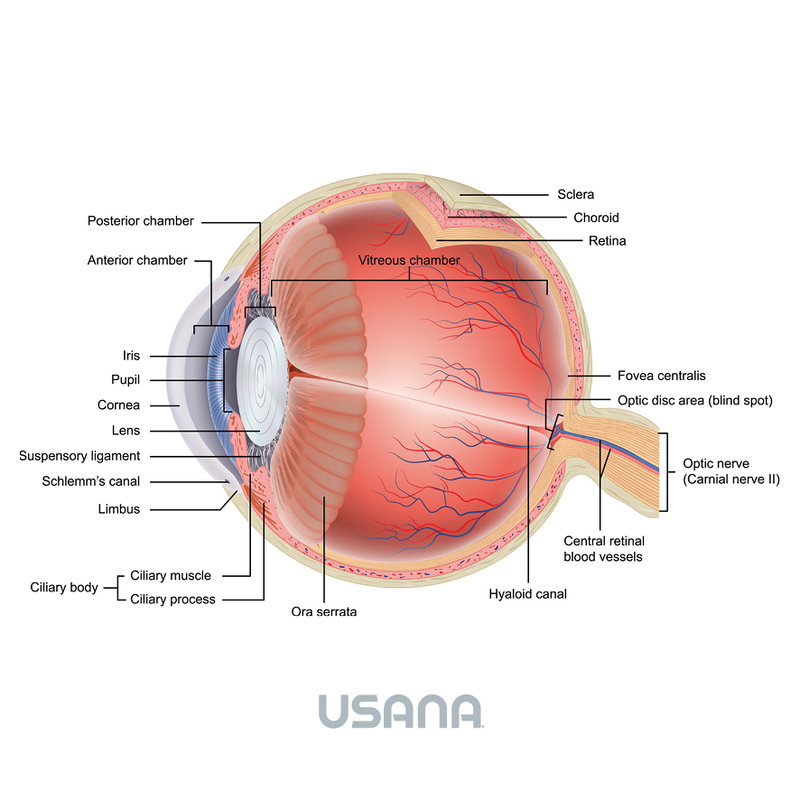 While further research is required, some studies point to UVA and HEV light as potential causes of macular degeneration. Keratitis, or corneal sunburn: Excessive exposure to UV from the sun or tanning machines can literally burn the cornea, the eye's clear refracting surface that admits light and images to the retina. UV-protective lenses are therefore especially a must for anyone who uses a tanning machine, as well as for skiers or snowboarders, since UV is more intense at high altitudes, and since snow reflects back the sun's rays, so that they hit your eyes a second time. With so much at stake for our quality of life it’s super important for us to protect and take maximum care of our eyes. Regular eye breaks, checkups, exercise and a balanced diet are all important parts of your overall eye health and wellbeing. There are also many other tips which can help improve your eye health (stay tuned for next week’s blog) including adding more of the following ingredients such as lutein, vitamin C, bilberry and zinc to your diet. 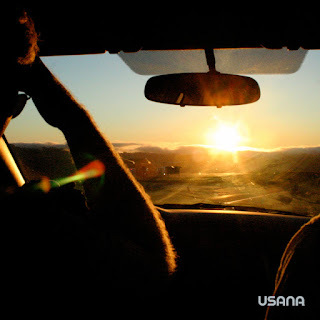 Perhaps it’s time we all took a step back and thought about the last time you looked up from your computer screen, put down your phone or wore the correct sunglasses outside, and start doing something about it. Your eyes will thank you for it.